We have exciting news, a couple of days ago we released MH Magazine v3.6.0 which is the latest update for our popular magazine WordPress theme. 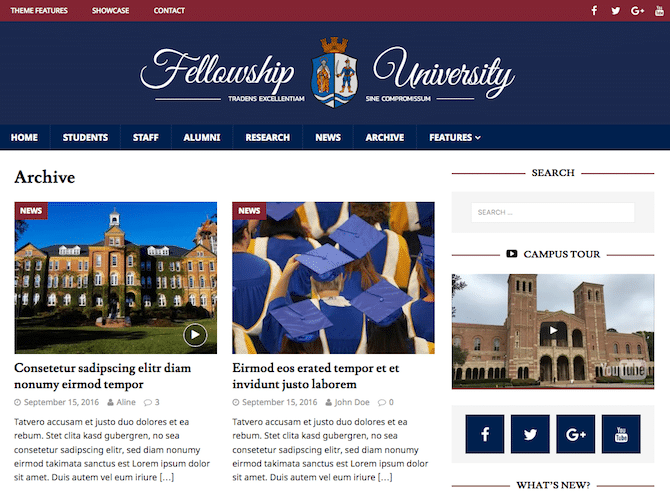 As you know, we're constantly working on improvements and new ways to offer more flexibility to present your valuable content with the goal to bring you the best theme for professional editorial websites. We're really happy with the latest update and this is officially the best and most versatile version of MH Magazine we've built so far. Archives in WordPress themes usually are a weak spot because they often look the same in many themes. The archive usually just displays a list of posts in chronological order and that's it. MH Magazine has included an option to switch the archive layout for quite a while now, but in MH Magazine v3.6.0 we've added three new archive layouts for even more flexibility. In combination with the unique options to display advertisements on archives in MH Magazine, you can present your content nicely and also monetize it effectively at the same time which isn't happening very often within archives on WordPress websites. By the way, if you're monetizing your website mainly with banner ads and in case you're dealing with ad blockers on a regular basis, this article may be helpful as well: How to deal with ad blockers on your WordPress website. The latest version of MH Magazine includes more nice stuff. For example we've extended the collection of styles for widget titles so that you can select your favorite style which is suitable for the topics and content genre on your website. Some of the new widget title styles can be seen in the 3 brand-new demos of MH Magazine, for editorial retro, health and education websites. The retro & vintage demo of MH Magazine shows how you could use this popular magazine theme for online magazines or blogs related to vintage stuff, retro lifestyle, cultural events, nostalgia or anything else that could be suitable for this kind of website design. The health & fitness demo of MH Magazine WordPress theme shows how you could use this flexible magazine theme for fresh editorial websites with topics like health, fitness, sports, nutrition, diet, wellness or anything else related to an active, vital and sportive lifestyle. The education style demo of MH Magazine shows how you could use this magazine theme for professional online magazines or news websites for colleges, universities, schools, research facilities or other educational institutions to display information and latest news from the campus. In total there are now 15 theme demos of MH Magazine where you can see what is possible with this versatile magazine theme for WordPress. 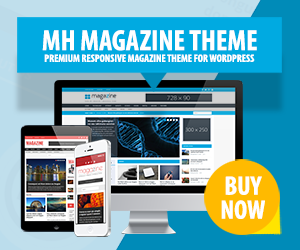 MH Magazine is suitable for various topics and content genres and it's quite obvious why this is one of the most popular magazine themes for WordPress. Do you want to see some real websites for inspiration? No problem! Have a look at our showcase where you can see what other users are doing with this flexible magazine WordPress theme. How to get the latest MH Magazine update? We understand that you eagerly want to gain advantage of the new features in MH Magazine right away. If you own a valid license, you can download the latest version of MH Magazine for free through your MH Themes account. In case your license has expired, you can renew the license through your MH Themes account and gain access to theme updates and support as well.